Have you ever looked into the processes required to make olives edible? Fresh picked olives from the trees aren’t tasty. They are too bitter to eat as is. They contain the chemical compound Oleuropein, which is considered to have medicinal value because it’s an antibiotic, anti-fungal, antioxidant and anti-viral substance. It just tastes terrible. 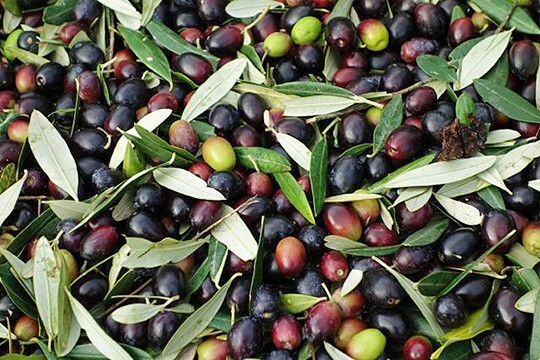 In order for olives to be edible some of this Oleuropein needs to be removed, and this can be done with water, brine, or lye. Since lye is the fastest, that’s what is most commonly used. If you want to process your own olives, you can get a free pdf of instructions here. No, I haven’t found a way to grow olives here at Poison Ivy Acres. But they came to mind as I searched for a way to let readers of this blog know why I have slacked off from posting recently. It’s not that I’ve lost interest in writing or in sharing my passion for plants, gardens, and how these connect with everything else. Far from it. I’m working on bringing another website into cultivation. At the same time I’ve been finishing my latest book, Coffee for Roses, which will be available from St. Lynn’s Press in May. It’s exciting to be planning new gardens (virtual) and perfecting the latest book. But it’s time consuming work that is currently taking all of my focus. Some of the things we value in life aren’t straightforward. They require attention to development, discovery, and detail. I think that the time I’m taking now will result in projects and products as delicious as olives, and I hope you agree. To be kept in the loop about the book and my new venture, Like my Garden Lady page on Facebook or sign up for my mailing list by clicking on the purple watering can in the upper left of this page. I’ll keep in touch. New crops are in the works…they just aren’t immediately edible.